Chapter 4 Page 6 is up. Mathilde talks Jassart out of doing something very foolish. 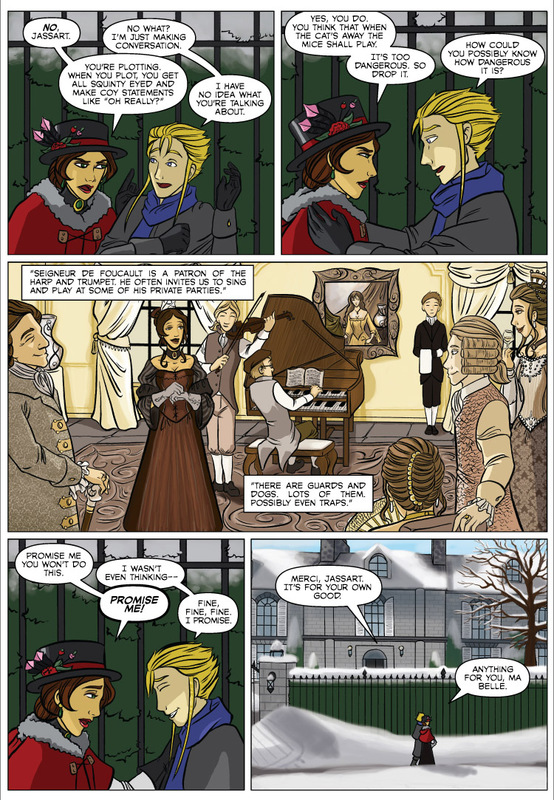 Meanwhile, catch a glimpse of Jassart’s first winter in Sherbourg when you vote for Snow by Night on Top Web Comics.